Enjoy this exciting 1 day canoeing trip in the Sacred Valley of the Incas, where we will see some beautiful landscapes near the city of Cusco. At 9:00 a.m. we will pick you up from your hotel in Cusco and go in the direction of the Urubamba River in the Sacred Valley north of Cusco, where our guide will give you the safety instructions about use of equipment for the trip. 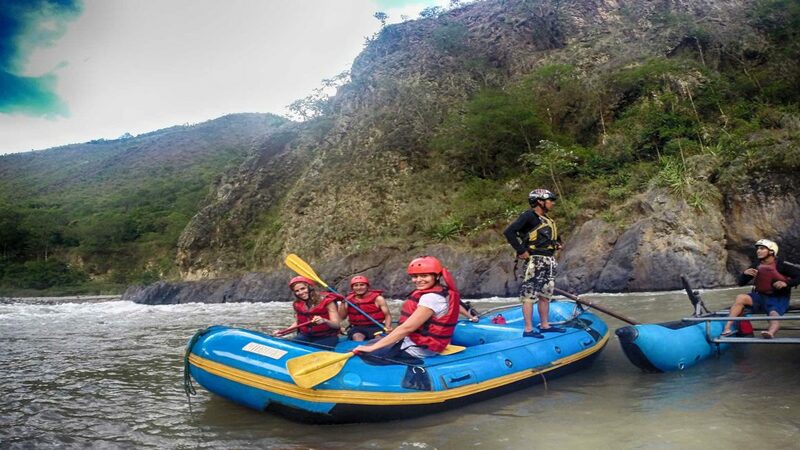 After that we will sail for about 2 and a half hours in class III and IV rapids, depending on the route you have chosen: we can go to Ollantaytambo Class III (March to November), Quiquijana Class III or Chuquicahuana Class IV (December to May). In the afternoon after lunch we will return to Cusco arriving at approximately 5:00 p.m.
Professional guide English / Spanish. Complete boating equipment (life jacket, helmet, waterproof jacket, neoprene suit, rowing, inflatable boat).